Attack on Titan Season 3, Episode 10, which is currently available which, featured a memory of Kenny Ackerman. It started with Kenny’s failed murdering of Uri Reiss, the late brother of Rod Reiss, who was once considered as the true king of the Walls. Despite learning about Kenny’s intention to end his life, Uri still decided to free the enemy and sorry for what the Reiss family did to the Ackerman’s. The latest episode of Attack on Titan gave more information about Kenny’s bloodline. The Ackerman Family is a family of warriors who once served the royal government. They began to be abuse after distancing themselves from the royal family. The details are unknown, but some experience a mysterious awakening and gain abilities of a typical human. During their conversation, Uri convinced Kenny to serve their family again. Since then, the two became best friends. When Uri was on the verge of death, he told Kenny about his plan to pass the power of the Founding Titan to his brother’s daughter, Frieda Reiss. After learning that he could also turn into a “God” like Uri, Kenny became interested in the power of the Founding Titan. 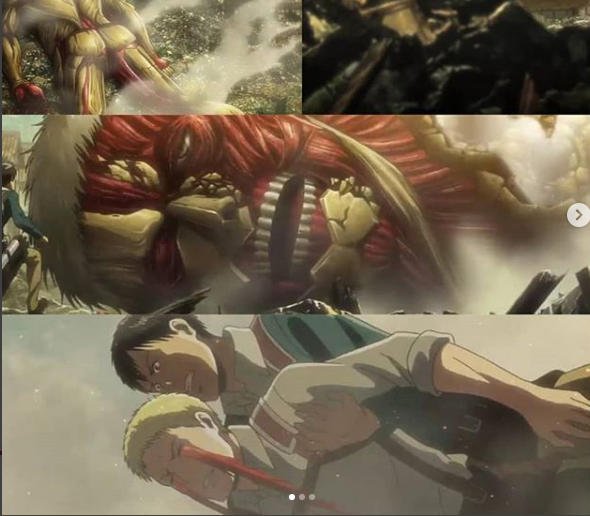 Finally,Attack on Titan Season 3, 10 Episode also confirmed the real relationship between Kenny and Levi. Kenny was the one who took care of Levi when his mother died. He also taught him how to survive in the underground world.